StrepB Carrot Broth™ is a unique modification of Granada Medium consisting of a one-step method for screening pregnant women for the presence of Group B Streptococcus. This screening test is an improvement over conventional methods, by increasing sensitivity, decreasing turnaround time, while lowering labour and material cost. Easy read-out. If an orange to red colour develops, Strep B is present. Positive results can be reported as early as 6 hours after inoculation. For positives, there is no need for further subculturing or testing. Carrot Broth™ was found to be more sensitive than the LIM Broth and Granada Agar Plate methods, and even PCR! 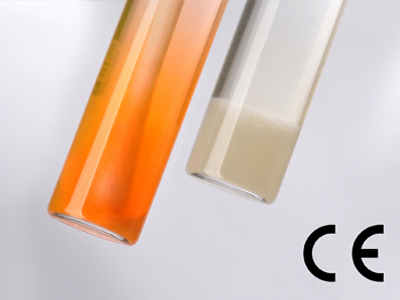 Negative cultures from StrepB Carrot Broth™ canbe subbed to a GBS Detect Plate to easily find non-hemolytic strains of GBS.